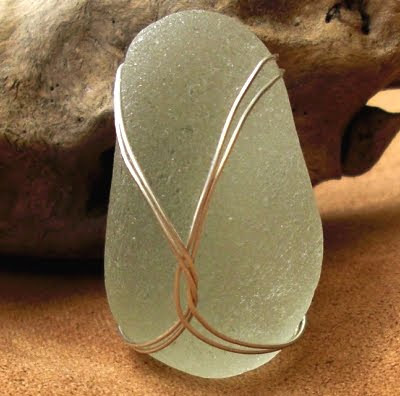 Learn how to wire wrap beach Sea Glass to make decorations for your home. Wire wrapping is one of the oldest techniques for making jewelry by hand. 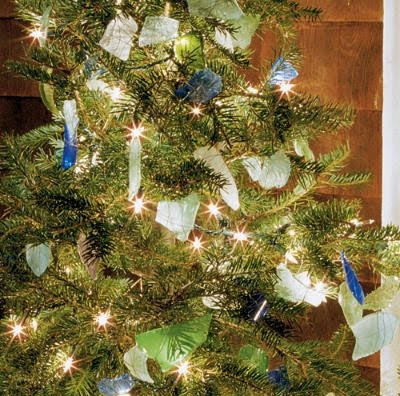 And you can use this technique to make decorations for your home. Via Picasa. 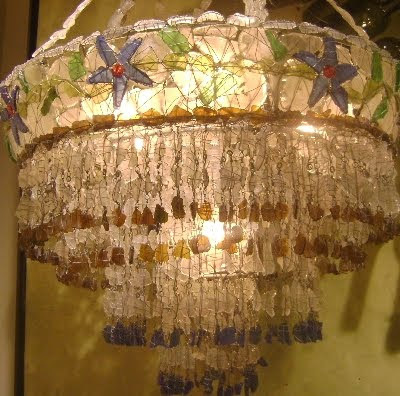 Here a chandelier is adorned with wire wrapped beach sea glass pieces. 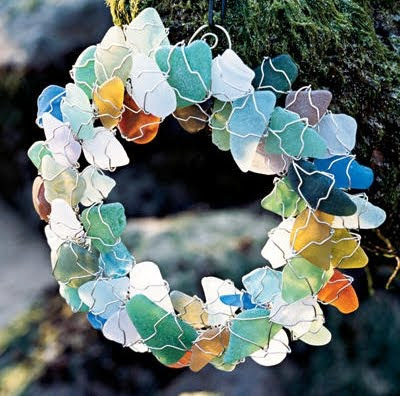 Take inspiration from Sue Gray's wire wrapped seaglass wreath. Original source no longer available. 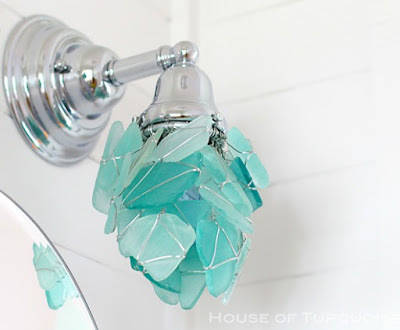 Cute little wall sconce that is decorated with wire wrapped seaglass pieces. Seen in a Tybee Island Beach Cottage featured on House of Turquoise. And speaking of chandeliers. A chandelier that is all hand-wired and assembled using nothing but wire and seaglass. Photographed by Danny who made the Wire Picture Holders that Rock. 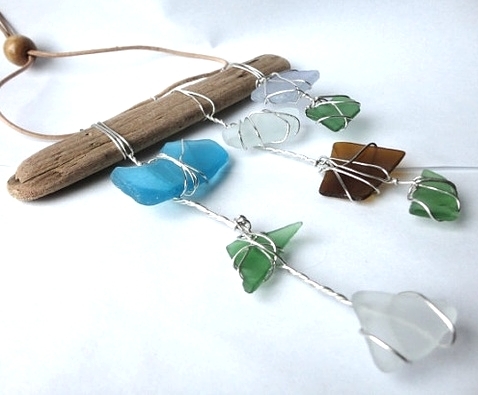 Or how about some wire wrapping for Christmas, creating wonderful Beachy Seaglass Ornaments. 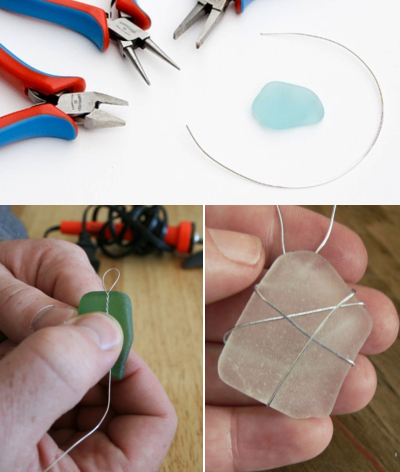 Here are three "how to wire wrap beach sea glass" tutorials that will get you started. 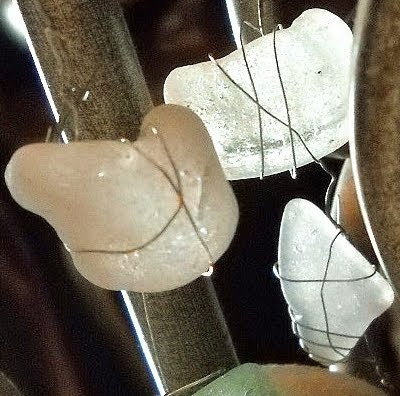 They are for jewelry pieces and will teach you the basics of wire wrapping seaglass piece that you can apply to any project you might choose.